Gold prices advanced further by Rs 100 to Rs 30,550 per 10 grams today on festive season buying by jewellers in the domestic spot market, supported by global cues. Globally, gold traded higher at USD 1,276.10 an ounce in New York yesterday. Silver too edged up to USD 16.81 an ounce. 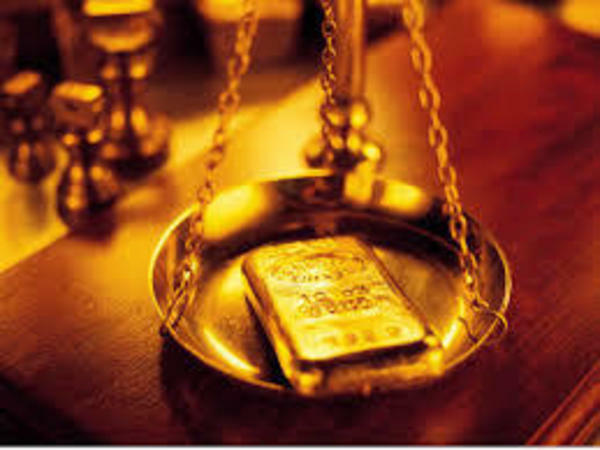 In the national capital, gold of 99.9 per cent and 99.5 per cent purity added another Rs 100 each to Rs 30,550 and Rs 30,400 per 10 grams, respectively. It had gained Rs 75 yesterday. Sovereign, however, remained unchanged at Rs 24,700 per piece of eight grams. In line with the overall trend, silver ready traded sharply higher by Rs 500 to Rs 40,600 per kg and weekly-based delivery gathered Rs 460 to Rs 39,600 per kg. Silver coins remained flat at Rs 74,000 for buying and Rs 75,000 for selling of 100 pieces. Which Countries Have The Largest Gold Reserves?